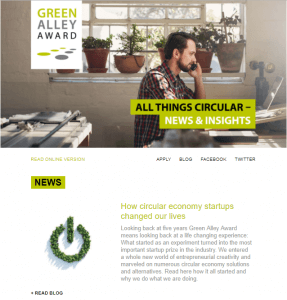 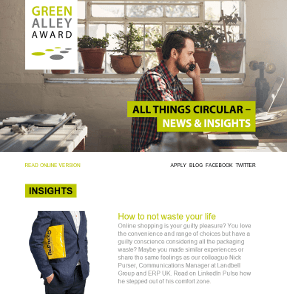 Read the latest updates on exciting startups, news and insights in the circular economy. 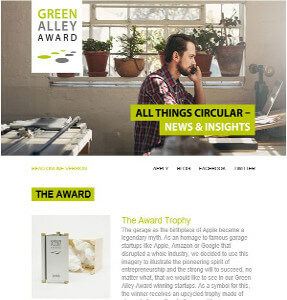 On a regular basis we also inform about our European startup prize, the Green Alley Award. 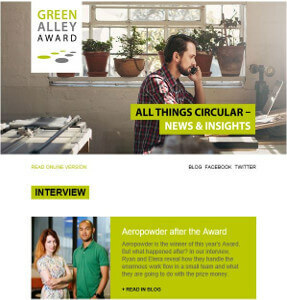 Sign up here for our news. 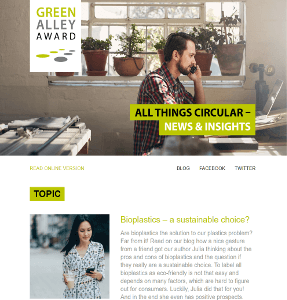 - Bioplastics – a sustainable choice? 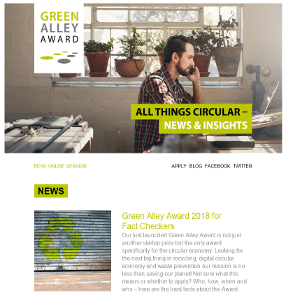 - Five years Green Alley Award – time for a facelift!